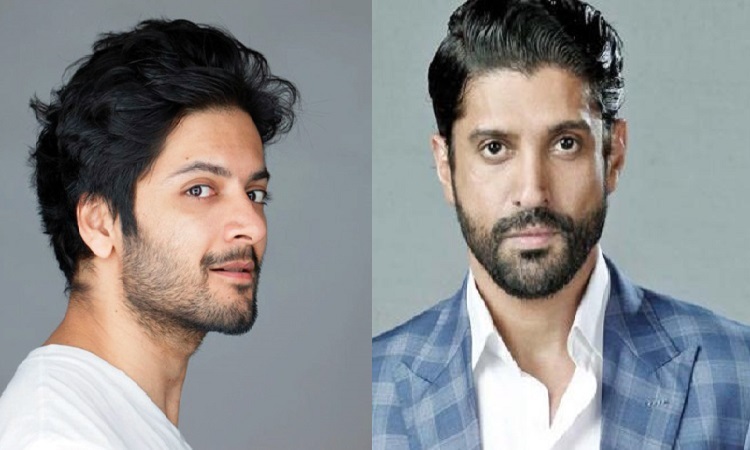 Actor Ali Fazal and actor-filmmaker Farhan Akhtar on Tuesday unveiled the first look of the web series "Mirzapur" in style. The upcoming Prime Original Series "Mirzapur" stars Ali and Shweta Tripathi. Ritesh Sidhwani and Farhan serve as the executive producers of the Amazon Prime Video's project created by Karan Anshuman and Puneet Krishna and directed by Gurmmeet Singh. "Welcome to Mirzapur," Farhan tweeted on Tuesday. Ali also took to Twitter to post its first look that features guns, bullets, knives and much more. "Okay here it comes. Welcome to the poetry of Mirzapur. A land with lungs. #MirzapurAnnouncement." Ali had earlier said in a statement to IANS: "I am geared up and excited to start shooting with this talented team of 'Mirzapur'." Shweta had also expressed her excitement about working with Ali on the project. "I adore Ali. I've known him for a few years now. We met at Prithvi (Theatre) and even did a play together. I was absolutely thrilled when I got to know that he is going to be a part of 'Mirzapur'. I couldn't be happier with the casting of our series," said Shweta. The gangster drama has a rural setting with north India as its background.